Antigone 3000 Prelude (fluo), 2015, 45” x 40”, oil on linen. Photo by Chris Adler. “These Carnations Defy Language” artists Alexandra Grant and Steve Roden discuss their individual sources and processes as well as their collaborative works. Leslie Jones, Ph.D., Curator of Prints and Drawings at LACMA, moderates. Free with admission. Free for PMCA members. Image: Alexandra Grant, I was born to love not to hate (1) [detail], 2014. Mixed media on paper backed with fabric, 126 x 72 inches. Photo credit: Brian Forrest. 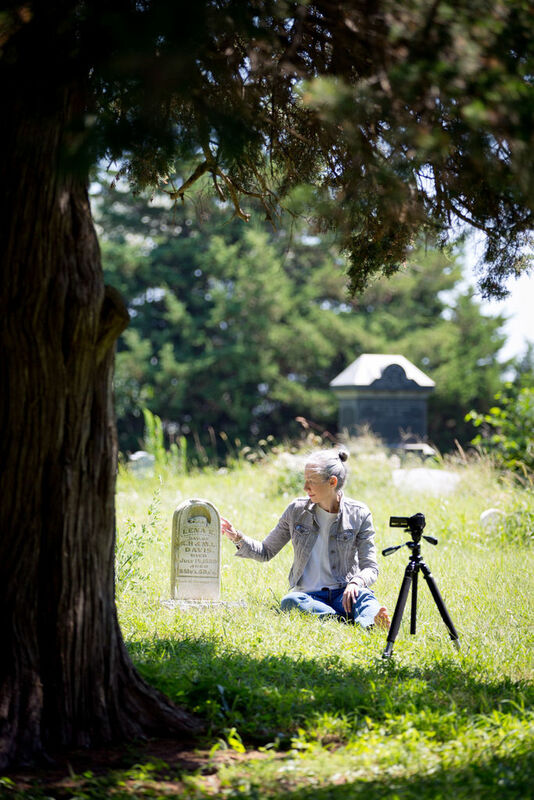 “Taking Lena Home”, a work-in-progress documentary film about the return of a stolen tombstone to its home in rural Nebraska, will be screened by Bemis Center Visiting Artist-In-Residence Alexandra Grant on Thursday, September 10, 2015. It will be followed by a discussion with the artist and Deputy Sheriff Bob Carey of Polk County who worked the case of the missing tombstone. “These Carnations Defy Language,” a two-person exhibition at the Pasadena Museum of California Art, is a perfect pairing of local artists Alexandra Grant and Steve Roden. 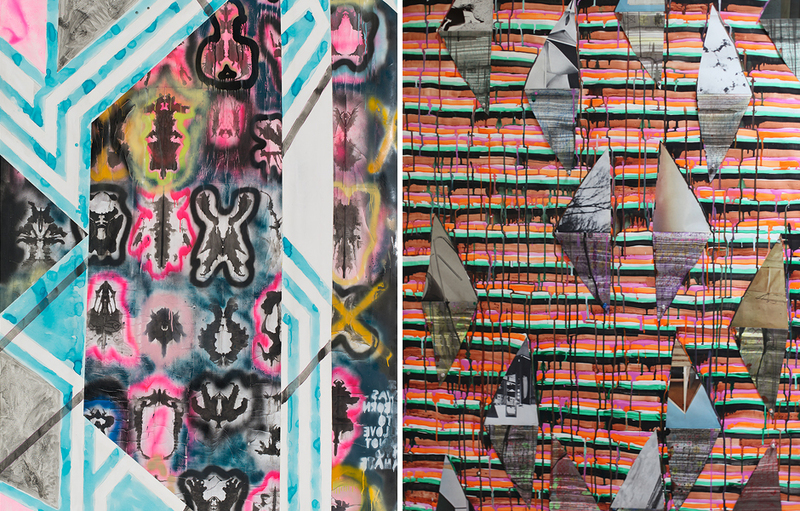 Both have long been inspired by language, often using it to generate colorful, intensely heartfelt abstractions. Side by side in this gently moving show, their drawings and collages have something of a familial resemblance, deploying dense networks of grids, stripes and triangles with vibrant, organic energy. The exhibition was inspired by both artists’ engagement with the prose poems of French writer Francis Ponge, who described everyday things like flowers, wasps and soap with unbridled jubilation. Still, despite these raptures (or because of them), he found language inadequate: The exhibition’s truculent title comes from him. Grant’s and Roden’s works might be said to reverse-engineer Ponge: Where he attempted to capture quotidian wonders in words, they transform language into images that blossom. Roden often uses textual or musical sources as a kind of “score” for generating imagery, and here he uses an issue of the Italian architecture magazine Domus published in the month and year of his birth. The resulting drawings and collages often incorporate clippings from the magazine and refer obliquely to the sleek contours of modern architecture, although Roden builds his images through accretion and improvisation, which gives them a more relaxed, vernacular feel. “The sky crying is,” features triangular, peek-a-boo cutouts that reveal spare, architectural imagery behind a surface of drippy, hand-painted, multicolored stripes. The image simultaneously evokes structure and defies it. Especially intriguing is the video “lines and faces,” in which Roden arranges striped paper triangles over a magazine page depicting three famous writers. As Roden aligns and misaligns the stripes over the portraits, we understand the irreducibility of faces: They are always more than the sum of the lines—whether drawn or written—that describe them. Strong stripes and chevrons provide a structural component that plays against the messiness of Rorschach blots and the words of the title in Grant’s trademark mirrored writing. The blots and the words—both bilaterally symmetrical like a body—flicker between legibility and nonsense. The juxtaposition of hard, geometric shapes and this more indeterminate imagery is an analog, not only for Antigone’s predicament, but for the way text works. Only hard, black letters on a page, it can evoke, as Ponge knew, so much more. What Roden and Grant are really getting at is meaning itself: how it is made and transmitted and what becomes of it along the way. Seeing their works together for the first time, I was surprised by their visionary, almost spiritual quality. Although they appear systematic and structured, there is always a human element that escapes description, defies our attempts to pin it down. Alexandra Grant stood in an antiques store in Buffalo, Wyoming, staring at the headstone of a baby girl named Lena Davis, 8 months, 5 days old. “Died July 19, 1880,” read the inscription. It was Grant’s third trip to the antiques store. Something about the headstone kept luring her back. At first she thought it was the aesthetic. Grant, a Los Angeles-based artist whose work often involves language, admired the design and text on the piece. She liked the look of the words. She paid $125 for it — more than she could afford at the time, but there was just something about the headstone that pulled her into its sphere. Fifteen years later, it still pulls. 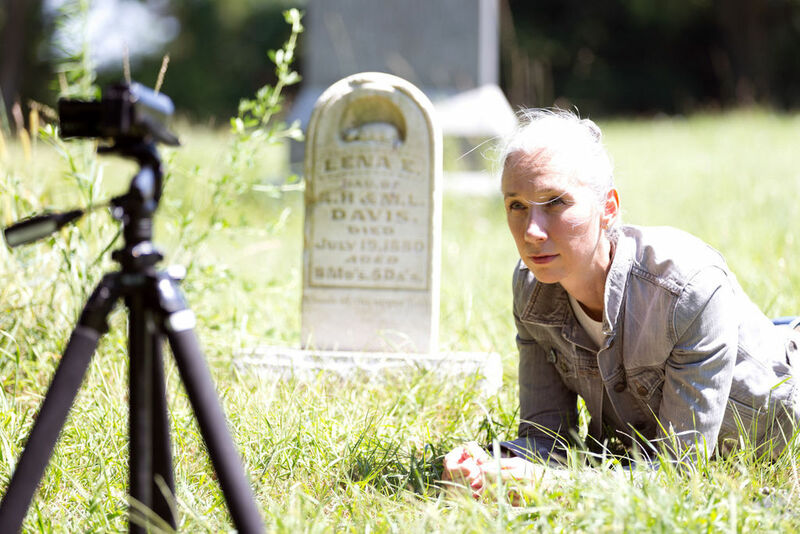 Today, Grant toils away in an Old Market artist studio, poring through hours and hours of footage for a project called “Taking Lena Home.” The documentary will tell the remarkable story of the headstone’s return to the Nebraska cemetery where Lena is buried, a place called Pleasant Home. 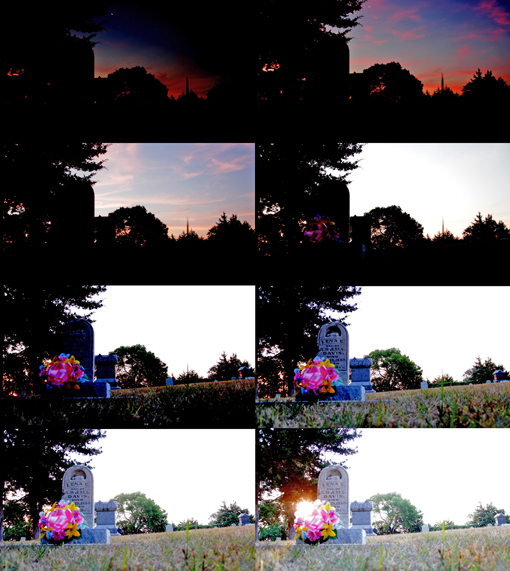 One by one it will introduce the other people who have found themselves pulled into the headstone’s sphere, people drawn together by something that sounds like coincidence but feels bigger than that. Because none of this really should have happened. For years, nothing did. After buying the headstone in Wyoming in 2000, Grant returned to California and resumed her life as an aspiring artist. And things started to go her way. Her paintings, drawings and sculptures appeared in gallery show after gallery show. In 2007 she scored her first museum show, and in 2011 landed her first group exhibition at the Los Angeles County Museum of Art, one of the most important arts institutions in the country. All the while the headstone “was always just sitting there,” Grant said. She kept the marker at home for a few years, until something about it unnerved her — “It just had a lot of energy” — and she moved it into her studio. Eight years it stayed there, waiting. Then, as Grant prepared to move into a larger studio, she felt a sudden, overwhelming sense of obligation. It wasn’t right to keep it, she thought, and she set out to learn where it really came from. Eleven years earlier, in Wyoming, the antiques store owner had pedaled a story Grant never really believed — that the headstone was removed from a nearby property. But she didn’t know where to turn for answers. She decided to put the headstone for sale online, pricing it unrealistically high, with hopes an expert would find it. The timing — what Grant now calls “this psychic alarm clock” — was eerie. Right around that time, in Scotia, Nebraska, a genealogy enthusiast named Julie Middendorf was reading an account of a 19th century headstone found at a garage sale. Middendorf found the idea “incongruent” — this idea that people buy and sell memorials that should be in cemeteries. She decided to search online for such sales. Almost immediately, she discovered Grant’s post. With a little digging, Middendorf learned that Lena Davis wasn’t from Wyoming at all. She was from Nebraska. Lena’s resting place, just outside Polk, Nebraska, was less than 80 miles from her own front door. She learned some things about Lena, too. She likely died of diphtheria or scarlet fever. Her father was 26; her mother, 19. She had a 3-year-old brother and 2-year-old sister, and both sets of grandparents. Middendorf also learned there were people looking for the headstone, even if they didn’t realize it. The theft of Davis’ headstone in 1945, along with two other markers, was considered the oldest unsolved crime in Polk County. Within two days of Grant’s online post, the Sheriff’s Office contacted her. Grant knew right away what she needed to do. A week later, she loaded up the headstone and drove from California to Nebraska. Along the way she stopped in Colorado to meet a man named Chuck Doremus, first cousin to Lena Davis, who still recalled the day more than 60 years earlier when he and his father noticed the markers were missing. Grant opened her trunk to show Doremus the headstone, and Doremus reached out to lay a hand on the monument, and in that moment Grant felt her role change. She was no longer possessor of the headstone. She had become its caretaker. Grant delivered the headstone to the man suddenly in charge of the cold case, Polk County Chief Deputy Sheriff Bob Carey, who kidded her about being in possession of stolen property. She visited with others who had become part of the story, including Middendorf, and the kind volunteers from the Polk County Historical Society. She returned the following year, in 2012, for a ceremony to reinstall the headstone in its proper place. About 80 people showed up, including Grant’s sister from London, brothers from Wisconsin and a friend from California. A minister read from an 1878 hymnal. The historical society volunteers showed up in matching neon shirts. Carey, in full uniform, thanked Grant for bringing such an unusual gift to the community. Middendorf spoke of the act’s significance. “Oftentimes these tombstones are the only tangible evidence that a life was ever lived,” she said. Grant spoke, too, describing her decadelong relationship with the headstone and how relieved she felt now that it was home. “I never in my wildest dreams could have imagined a place so lovely,” she said. After the memorial, all went their separate ways, their good thing seemingly done. It would seem like the logical end to the story, but it didn’t quite work out that way. “I didn’t expect to come back every year,” Grant said. The invitation in 2013 came from the historical society, which asked Grant to serve as an artist-in-residence, working with grade-school students on a book about the grasshopper infestation of 1874. The invitation in 2014 came from Carey, who asked Grant to attend his wedding. The invitation this year came from a staffer at the Bemis Center for Contemporary Arts in Omaha, who learned that Grant had been filming the headstone’s journey all along and urged her to finish the project in Nebraska. So here she is now, combing through 30 hours of footage for the right clips to tell the story, and finding herself reflecting on what it all means. Why did she buy that headstone in Buffalo, Wyoming? Why did she wait 11 years to do anything with it, and how did it turn out to be the exact right moment to do so? What will bring her back to Nebraska the next time? It’s what she means by the “symbolic realm.” It’s why Grant describes the story as a series of concentric circles, with Lena in the middle and then her immediate family closest, and then her extended family, including Chuck Doremus, and further out whoever stole her marker, and then whoever bought it, and the antique store owner, and Grant, and Middendorf, and Carey, and the historical society volunteers in their neon shirts, and everyone who took part in the headstone’s return to Pleasant Home. There are all of the people who have somehow been pulled into the sphere of Lena Davis and now circle it, in orbit together. Some of them speak about it in the terms of their religious convictions, finding their meaning in God. Grant has found herself looking, once again, to words — specifically those of the British novelist and poet Lawrence Durrell. Photos credit: Matt Miller/Omaha World-Herald. 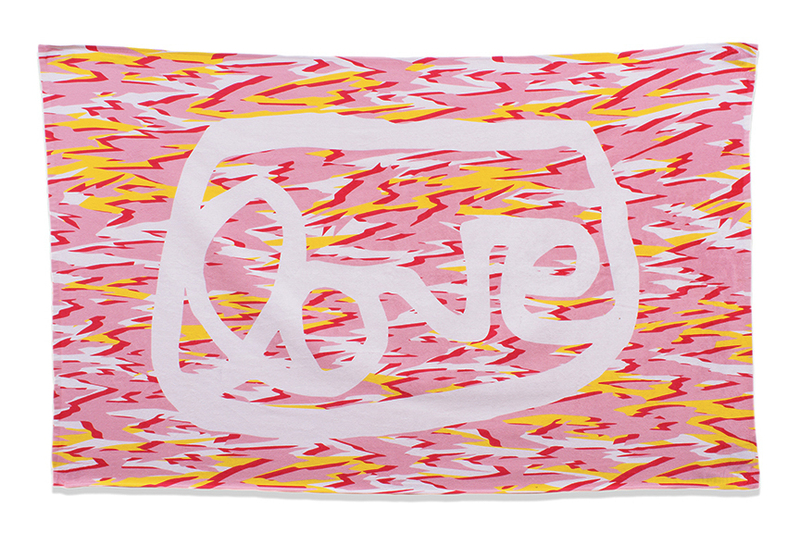 The grantLOVE project is pleased to introduce a new collaboration with Los Angeles-based artist Devon Tsuno to support two organizations: Big City Forum and HOLA (Heart of Los Angeles). Tsuno’s long-term interest and visual interest in bodies of water in the Los Angeles area has been central to his work in print-making, painting, drawing and photography. 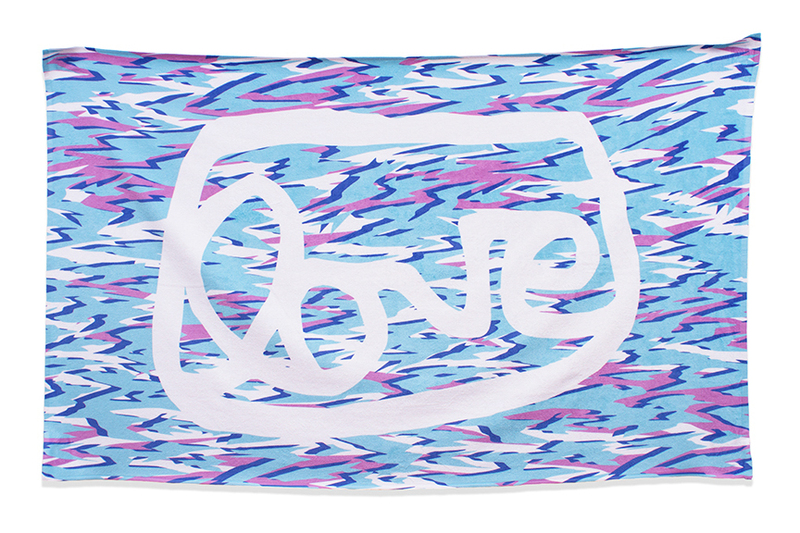 grantLOVE x Devon Tsuno Beach Towels are based on Tsuno’s graphic and colorful designs of water. 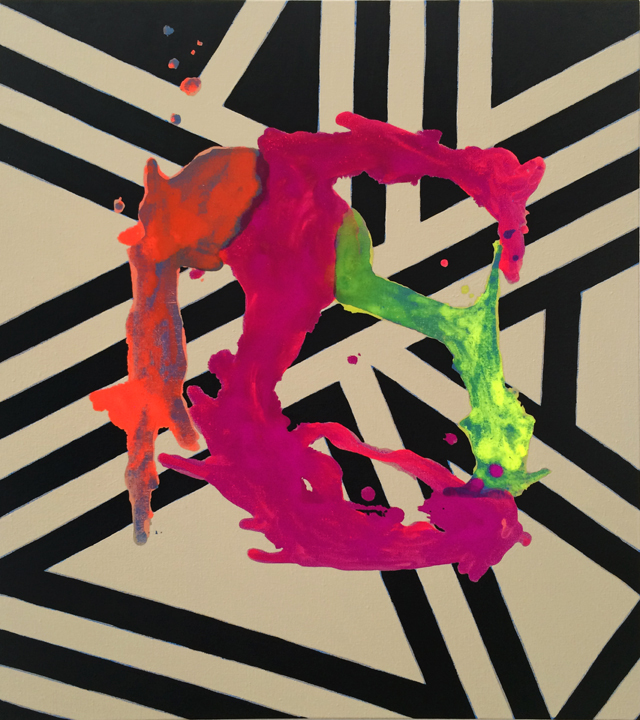 The grantLOVE symbol is Los Angeles artist Alexandra Grant’s trademarked brand for philanthropy in the arts. Both Grant and Tsuno as artists and teachers are dedicated to supporting arts education throughout the Los Angeles region. Join us for a Launch Party on Saturday, August 29th at Ochi Projects, from 5-8pm. 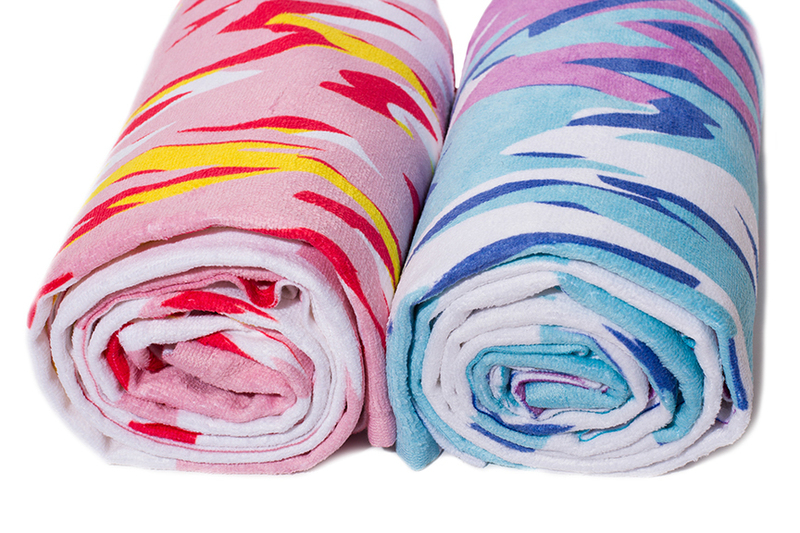 grantLOVE x Devon Tsuno Beach Towels come in blue and pink, are sized 60″ x 35″ and made of velour Turkish combed cotton with artwork printed in the US. The towels retail for $59.99. 100% of all profits will be donated in support of Big City Forum and HOLA (Heart of Los Angeles). HOLA provides underserved youth with exceptional programs in academics, arts and athletics within a nurturing environment, empowering them to develop their potential, pursue their education and strengthen their communities. Founded in 2009, Big City Forum is an interdisciplinary, conversation-based curatorial research project that explores the intersections between design-based creative disciplines and public space, the built environment, and social change. Alexandra Grant and Steve Roden: “These Carnations Defy Language” began as a seed, a conversation between the artists regarding an anthology of the French poet Francis Ponge. 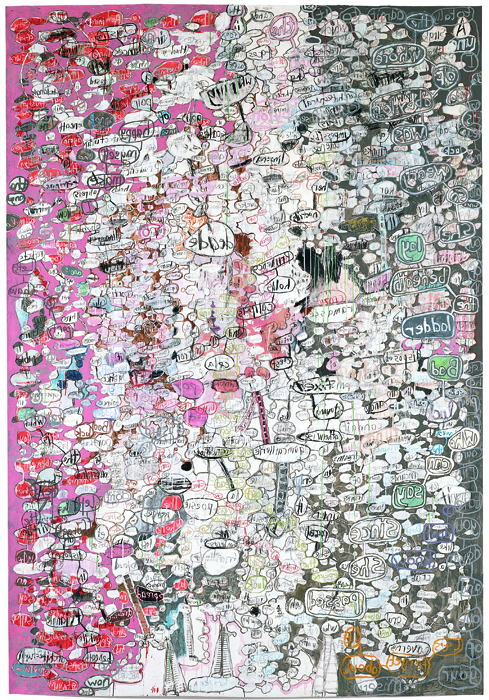 This exhibition stems from that conversation, which presents new individual and co-created works by Grant and Roden that highlight their use of textual sources and their own conceptual systems to inspire and structure their production. Grant’s paintings from her new series Antigone 3000 continue her inquiry of literary texts as source material for her imagery. The works in “These Carnations Defy Language” explore and map the Greek myth of Antigone from its original basis in Sophocles’s text to a current exchange on the importance of Antigone to future generations with Pasadena-based poet and artist Kate Durbin. Roden introduces a new body of work titled snowbirds don’t fly. His paintings, drawings, and video respond to various significant childhood images, experiences, and encounters, including Neal Adams’s artistry for issue 85 of DC’s Green Lantern/Green Arrow comic, a group of Domus magazines found in his father’s basement, and a Hebrew prayer book belonging to his great grandfather. In addition, the exhibition includes a collaborative series of works on paper that explore a text that has inspired both artists: Francis Ponge’s Mute Objects of Expression, a book of poems from which the exhibition’s title is taken. Pushing the artists’ interests in language and systems beyond the gallery walls, “These Carnations Defy Language” will feature a brochure with an essay by Leslie Jones, Ph.D., Curator of Prints and Drawings at LACMA. Artists Alexandra Grant and Steve Roden lead a walkthrough of their exhibition “These Carnations Defy Language.” Free with admission. Free for PMCA members. “These Carnations Defy Language” artists Alexandra Grant and Steve Roden discuss their individual sources and processes as well as their collaborative works. 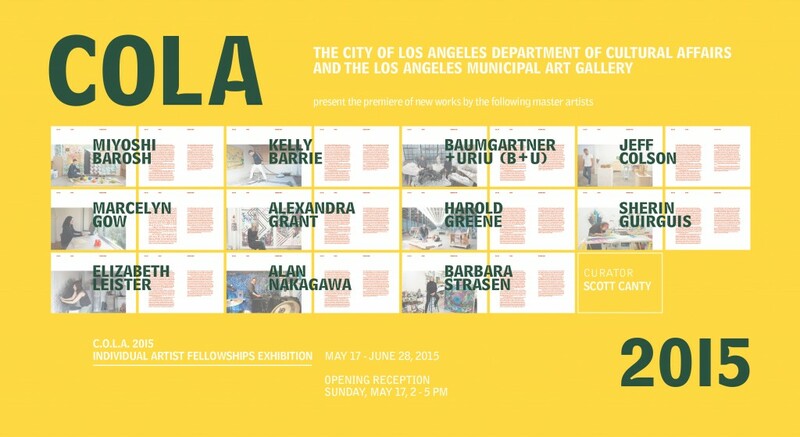 Leslie Jones, Ph.D., Curator of Prints and Drawings at LACMA, moderates. Free with admission. Free for PMCA members. Images: Alexandra Grant, I was born to love not to hate (2) [detail], 2014. Mixed media on paper backed with fabric, 126 x 72 inches. Courtesy of the Artist. Photo credit: Brian Forrest; Steve Roden, the sky crying is [detail], 2015. Acrylic, sumi ink, collage, and magazine images, 65 x 36 inches. Courtesy of the Artist and Susanne Vielmetter Los Angeles Projects. Photo: Jeff McLane. The character of Antigone, an enduring symbol of uprising and resistance to the state and society, has shape-shifted from a tragic mythical figure to a contemporary emblem of the risks and consequences of standing up for what you believe in a hostile world. She has been re-envisioned by Mexican poet Sara Uribe in Antigóna Gonzalez (Les Figues Press, translated by Les John Pluecker) and Jean Anouilh’s Nazi resistance direction of Antigone. Her hold on the collective imagination has not waned. 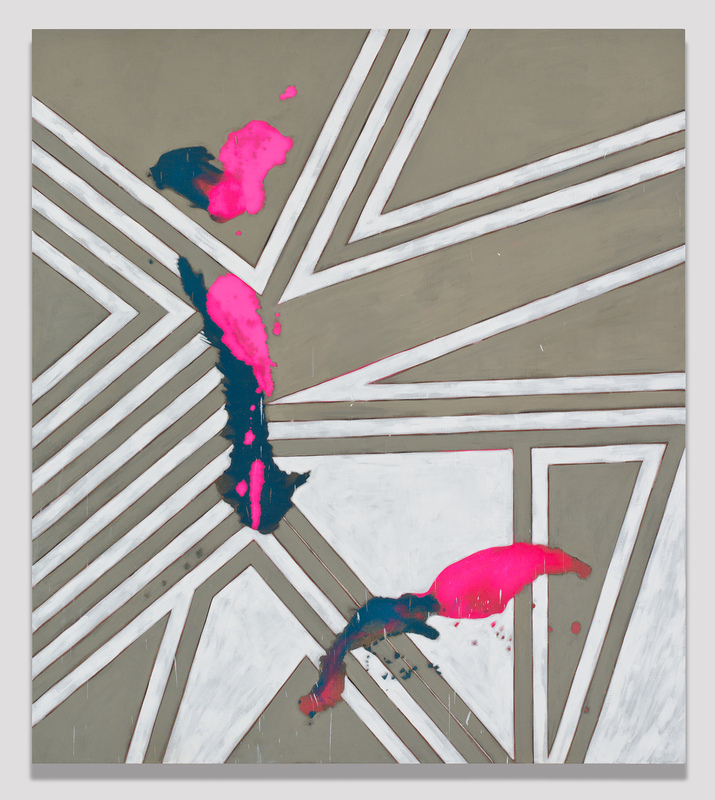 While the play itself is central to Los Angeles painter Alexandra Grant’s Antigone 3000, this new series of abstract paintings delves beyond the language of Sophocles into the play’s subterranean depths. 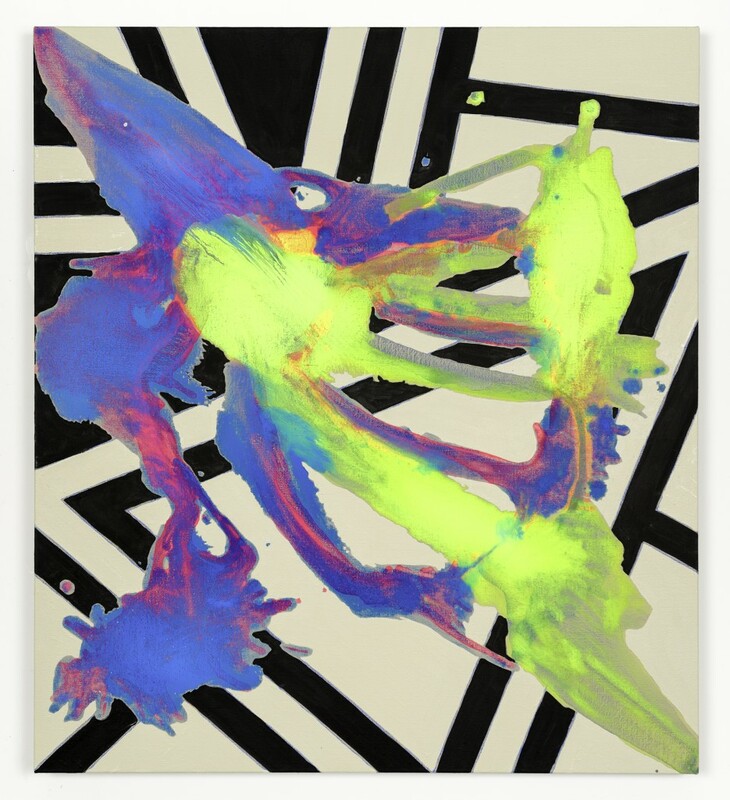 Inspired by Rorschach’s psychological tests, which are designed to reveal the viewer’s subconscious beliefs, Grant sees her paintings as “half-Rorschachs,” or stains. The stain is perhaps a perfect representation for Antigone, this figure who never vanishes from a collective history, who keeps reappearing in different forms, wearing different faces, fighting for different causes. Antigone is a stain we cannot seem to remove, a stain that appears like all stains, completely inconveniently, serving as a reminder of inconvenient truths — like love. Love, the force that builds worlds, has been centered in Grant’s work before, including in the grantLOVE project, which helped fund the Love House Project in Watts. It was Antigone’s claim to Kreon that she “was born to love, not to hate” that incited Grant’s Antigone 3000. It is Antigone’s love that demands she honor her dead; it is love that leads, ultimately, to her death. When a person is shot in a movie, often there is a moment of total stillness, after which a bloom of red appears on their clothing. Their mouth falls open. Trembling, they touch the red. They are amazed. In that moment, I like to imagine that they are realizing two things simultaneously: that they are alive, oh so alive, more alive than they’ve ever been in their whole dead life. And that, before any of us are able to grasp the significance of that revelation, we die. What are we born for? Not to hate, but to love. 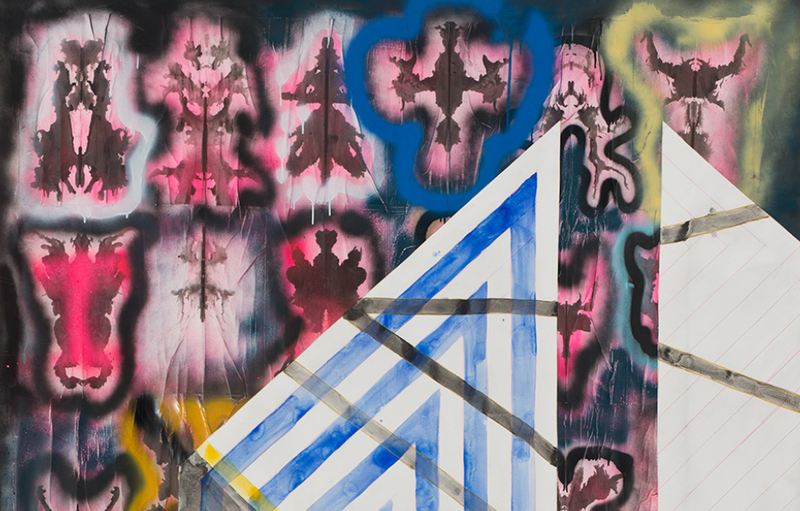 Image: Antigone 3000 (4), 2014, oil on linen, 90” x 80”. Photo by Brian Forrest.